Soil and land are natural resources components having vital functions of direct uses for human being and other living organism. They are also having a role to control the functions and availabilty of other natural resources, including water and forest. Uncontrolled and unwise uses of soils and lands have resulted in deterioration of their functions. Short-term needs and benefits in using soil and land are frequently trigerring the occurence of various hazards, to name a few: erosions, landslides, floods, droughts and pollution. Studying the nature and the dynamic of soils and their management strategies, is therefore, a chalenging issues and defiitely always up-tp-date. Moreover, this is relevant to current situation where pressure to lands is lucid. 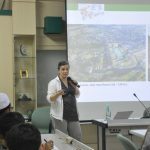 Peningkatan jumlah penduduk, berkembangnya teknologi bio-industri, kesadaran akan pentingnya gizi, serta kebutuhan hidup yang berkualitas telah menyebabkan peningkatan kebutuhan pangan dan bio energi, serta produk pertanian lainnya. 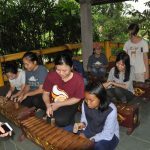 Perdagangan bebas memberikan peluang dan tantangan baru bagi pertanian di Indonesia untuk dapat memenuhi kebutuhan dalam negeri guna mencapai swasembada produk-produk pertanian sehingga dpat bersaing dengn negara-negara lain dalam era global. 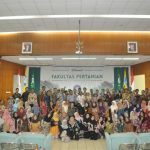 ProgramStudi Agronomi dan Hortikultura adalah menjadi pusat pelaksana kegiatan akademik bertaraf internasional pada tahun 2025 dalam bidang teknologi budidaya pertanian untuk mendukung pertanian berkelanjutan. 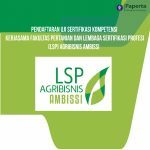 Melakukan pengabdian dengan dasar profesi sebagai agronomis dan hortikulturis untuk meningkatkan kesejahteraan masyarakat. Hama dan penyakit tanaman merupakan permasalahan yang kompleks yang sering terjadi baik di lapangan, transportasi, pengepakan, hingga di penyimpanan. Kerugian akibat serangan hama dan penyakit dapat mencapai lebih dari 50% bila tidak ada upaya pencegahannya. Untuk menekan kerugian tersebut diperlukan tenaga ahli yang terampil dalam bidang proteksi tanaman yang tidak hanya mengetahui bagaimana mengelola hama dan penyakit di segala aspek tetapi lebih jauh lagi bagaimana membuat sistem yang ada menjadi berkesinambungan dan ramah lingkungan. Oleh karena itu diperlukan pendidikan dalam bidang proteksi tanaman. Institut Pertanian Bogor memberikan mandat tersebut pada Departemen Proteksi Tanaman dengan moto “melindungi tanaman dan lingkungan”. The education in landscape architecture in IPB was first introduce as a study program in1985, and has been accredited with A status since 1998 (National Board of Accreditation for Higher Education Institution No. 00497/Ak-I.1/IPBAIP/VIII/1998). In 2005 along with the changes in the curriculum and organization of IPB, the study Program of Landscape Architecture under the management (home base) of the Department of Landscape Architecture (Rector Decree No:001/K13/PP/2005). Furthermore, DLA have implemented competence based curriculum and major-minor system. 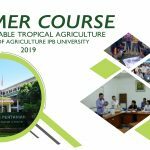 The department supported three sections (landscape planning and design; landscape management; and plant and greenery system) able to administer the system and give services for landscape arcitecture program minor and supporting course to other department in IPB. The unique expertise in landscape architecture as vocation with a specific responsibility as described above is acknowledged by the professional colleague at the International level known as International Federation of Landscape Architecture (IFLA) and at the national level by Indonesian society of Landscape Architecture (IALI). Moreover, in facing the flow of foreign experts in providing the construction services as an impact of globalization, in 2000 IALI set up an accrediting body for the expertise in landscape architecture called Badan Sertifikasi Arsitek Lanskap (BSAL) (Certification Board of Landscape Architecture). Qualitatevely, the profession of landscape architecture has provided significant services in landscape development. Some areas of development under the domain of this expertise are settlement, tourism resorts, recreation and hotels, public/office parks; historical and cultural landscape, protected landscape, civil works, landscape works under the domain of the Department of Public Works, Department of Home Affairs, office of Living Environment, as well as training of lecturers in state/private universities who are responsible for related course.